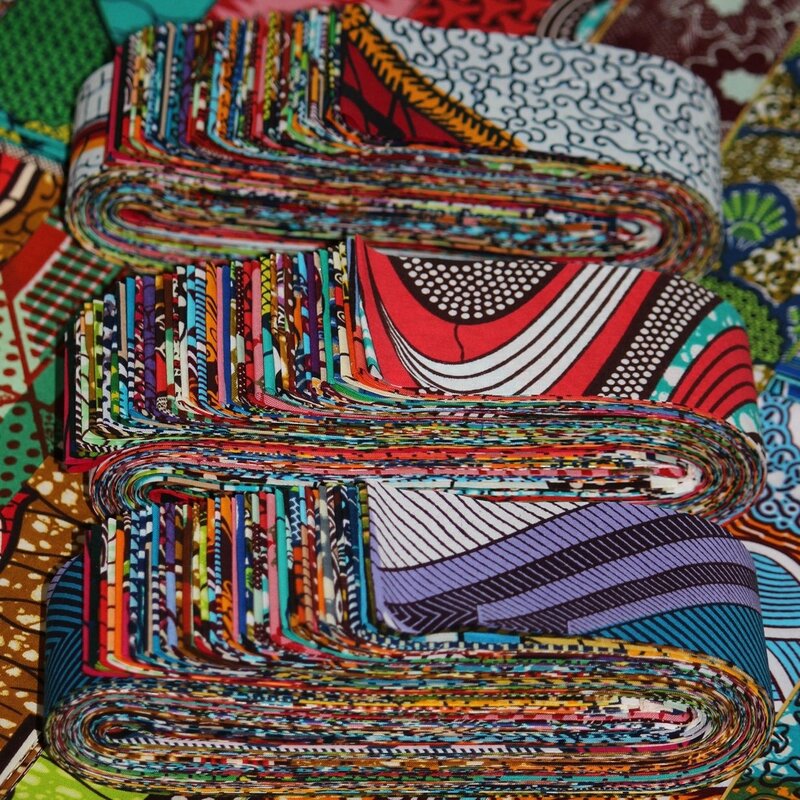 This precut roll contains 40 different 2.5" x 45-47" strips of Dutch wax printed fabrics produced in Holland and Ghana for the West and Central African market. Brighter colors and more modern designs than our African strip roll. All of these fabrics are 100% cotton.